After the goldrush #44 - The Sun Is Back. www.THEBROKENFACE.BLOGSPOT.COM Saturday , March 08, 2008. Bicester, Oxon, U.K brings us TALKING TREES, a relatively unknown name in the psychedelic pop/folk heavens. The sunny vibe present on their brand new �Revolation� www.talkingtrees.com works eminently well on a lovely spring day like this. There�s something about these guys� take on Byrdsian pop, folk-tinged harmonies and intricate guitar patterns that has me smiling. Most of the �60�s pop ingredients are present, but it�s all peppered with some nicely baked jangly Flying Nun pop and delicate twee pop. The whole thing clocks in at just less than 25 minutes and when it comes to this sort of sparkling pop that�s certainly for the better. I had been waiting for a new release from this band...and I must admit that I was surprised at Talking Trees new sound. There is a real �bite� to this mini-album, and the 6 songs leave you in absolutely no doubt that the band are undergoing a minor musical �Revolation� of their own. This release is simply the strongest bunch of songs i�ve heard in a very long time. 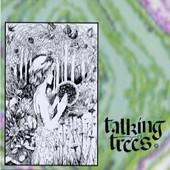 Criminally underrated, Talking Trees are probably the greatest band you�ve never heard! For individual playing and musical vision 10/10. 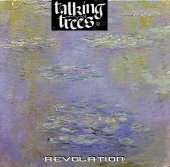 As an owner of the band�s debut Talking Trees S/T, I was a little concerned that the band had split. Not so! delusionland is the kind of neat album that in my personal opinion only someone of the genius of John Lennon could have written. The acerbic lyric to the stark 'Bread and Circuses'is a modern day Working Class Hero, with 'Athabasca� a nod to the mind bending closer of Revolver. The Byrds� influence can still be heard in the guitar work, but this is an album so distinct in it�s own right it�s silly to try to draw comparisons. For me, the album contains the greatest song that�s ever flowed off the pen of Sean Robert Chambers,�mammon Mandarin'. 'William� and 'Wake Up World'would make great singles and I rate this album as highly as The Pretty Things� S.F Sorrow. A truly great new album which holds it�s head up amongst the current crop with pride. 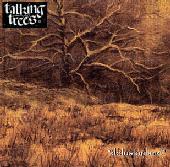 Aural Innovations #22 From England comes the debut album by folk/pop/psych ensemble Talking Trees. The promo sheet makes analogies to Jefferson Airplane, the Byrds and Simon and Garfunkel, and those couldn�t be more accurate. The album contains 14 tracks, all characterized by beautiful flowing melodies and tender folky vocals. The Byrds influence is mostly heard in the guitar patterns, and while Sean Robert Chambers doesn�t necessarily sound like Simon or Garfunkel it�s the singing that most reminds me of that classic duo. And the songwriting is excellent. These are songs that will stick in your head after the first listen. �somewhere Upon Worlebury Hill� and �steel Plastic Centipede are among my favorites. They're both gorgeous slices of pop/psych with intricate little instrumental embellishments. 'Wicken Fen� and �lather� (a Jefferson Airplane cover) both have a more traditional folk sound, though 'Wicken Fen� also has a Celtic flavor while �lather� has some brief but mind-bending trip guitar bits. Another highlight is 'Faroe Smiles', one of the heavier songs of the set, having a bit of a tripped out quality. And the organ really comes to the forefront on this one too. And speaking of tripped out jams, this band of delicious 3-4 songs closes their set with 'We Walk The Wheel', a 9 minute psychedelic freakout of liquid loops and acid jams. What a sweet ending! Yeah, there�s no question these Guys would have been on the charts 30+ years ago. But though Talking Trees wear their influences on their sleeves there�s a freshness and vitality to them that defies the retro label. Fans of well crafted 60�s psych/pop songs can�t go wrong. All of the songs here are written by Sean Robert Chambers except for a cover of J.A�s �lather� which sits on the album as if it was the bands own composition. There is a mystical feel to songs such as �dear Mrs. Somerset','Wicken Fen� and �somewhere upon Worlebury Hill'; however the 60�s psyche influence comes to the fore on 'Faroe Smiles� with it�s backward guitar solo and also on the extended guitar freakout of 'We Walk The Wheel'. All in all an excellent debut, and one which will make me watch out for more from the band in the future. I sometimes find it truly baffling that we live in an age where music as a media has to conform to the lowest common denominator. Why have I not heard of this band? This album deserves to be a No:1, yet I fear i�ve just contradicted myself. 10 out of 10. This record easily holds it�s head up alongside Sgt.Pepper and Piper at the Gates of Dawn, yet retains it�s individuality. Buy it.NOW!!! This just so happens to be one of those albums that comes along so rarely these days-a full hours worth of strong melodies and intelligent lyrics.The Jefferson Airplane cover of "Lather" is quite simply breathtaking.The Byrds type harmonies and Rickenbacker 12 string do not detract from the fact that this is basically an extremely well crafted and constructed"Brit/psyche"album.Personal favourites"Steel Plastic Centipede",and the beautifully Mellotron laden"Music of the Spheres". 9 out of 10...BUY IT!! !